The word Aadi is derived from the Sanskrit word, Aashadi. It corresponds to the month of Ashadh followed by the North Indian lunar calendar. It is the fourth month in the Tamil Calendar, which starts in the middle of July and ends in the middle of August, every year. The month is full of festivals and is dedicated in worship to the Gods. 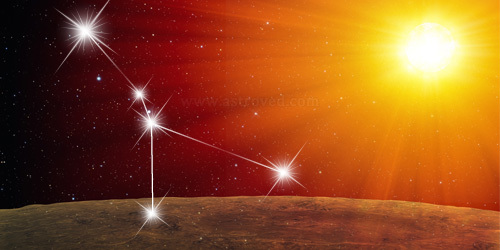 The month begins with Sun`s transition to the zodiac sign cancer and also begins the southward journey of the sun, which lasts for 6 months, called the Dakshinayana period. It is considered the nighttime of the gods. Rivers overflow during this period due to heavy rains. The sun`s rays during this period help in good cultivation and yield, highly beneficial for farmers. Dakshinayana period is considered most auspicious to worship the gods and goddesses. The month assumes significance due to the various auspicious days and festivals. Aadi Pirappu– This day marks the beginning of the month. It is celebrated by inviting newlyweds home, giving gifts to the new son-in-law and preparing delicacies with prayers to God. Aadi Tapas– Legends say that Goddess Parvati did severe penance to see the Siva and Vishnu at the same time, and her wish was granted, as the lord appeared as Sankarnarayana. This is celebrated in a place called Sankarankovil, in Tamilnadu. Aadi Perukku– It is the 18th day of the Tamil month Aadi, celebrated by farmers along the kaveri river belt and also by womenfolk. Prayers are offered to river Goddesses for welfare and peace. Aadi Amavasya– This no moon day is offered to ancestors by means of tarpanam. Aadi Pooram– It is the day when Goddess Andal was born and prayers are offered to her to secure boons of marriage and good life. Aadi Krittikai– Lord Muruga is worshipped on this day. Naga Chaturthi– Women folk visit snake hills and offer milk to remove doshas and bless them with peace. Aadi Chevvai`s– All Tuesdays are considered auspicious to worship the goddesses. Auspicious Aadi Velli`s or Fridays– One seeks the blessings of the divine Mother Mariamman on all Fridays in the month of Aadi with offerings of sweet pongal and porridge. She is venerated as the sole divine protector, who wipes away all sorrows. Varalakshmi Vrat– This is celebrated on the last Friday of Aadi and Goddess Varalakshmi is propitiated for good fortune, peaceful family life, longevity and happiness. Worshipping her means worshipping the eight forms of lakshmi or ashtalakshmi. Fast is observed and many delicious preparations are made as offerings to the Goddess of Fortune. In the state of Kerala, reading of the holy scripture of Ramayana is done in this month in households, to get all benefits, materially and for spiritual evolvement.